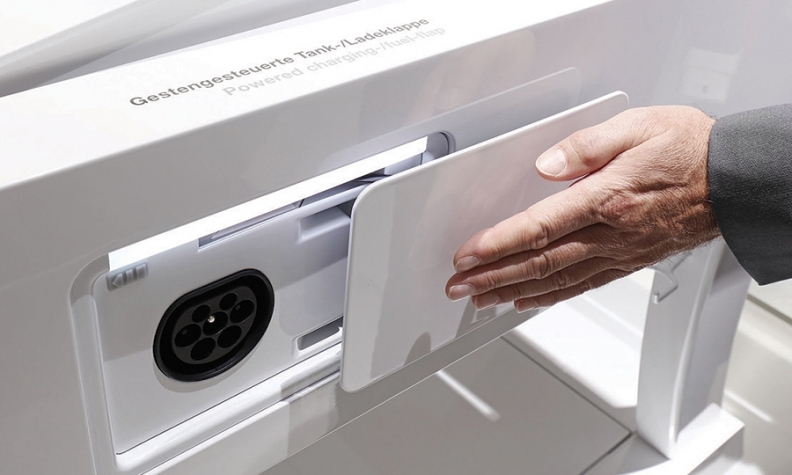 Brose's no-touch fuel tank door is activated by a wave of the hand. COBURG, Germany -- The auto industry's push toward electrification is driving changes that increasingly go beyond the powertrain and are transforming other parts of the modern vehicle. "Doors, seats, interiors are getting more flexible, more connected -- they are becoming increasingly intelligent," said Juergen Otto, CEO of Brose, a German supplier of mechanical and electrical components that is trying to lead the way on this front. Based in this picturesque city in northern Bavaria, Brose specializes in the mechanical and electronic components that make power windows and power seats possible, and sees opportunity in the increasing electrification of vehicles. Otto said convenience and safety are behind the trend. If a car has automatic rear doors, children can hop in the back seat on their own, and parents don't have to get out to ensure the doors are closed securely. The family-owned company showed a prototype of automatic rear doors in September at the Frankfurt auto show. The door also can be set to hold in any position to prevent contact with other vehicles parked nearby. Brose is offering the technology to upscale automakers. Otto said the possibilities for motorized, automated parts extend to almost anything in the vehicle that moves, opens, folds or clicks into place. 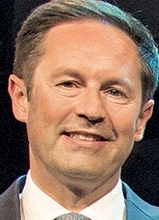 Automobiles are being reshaped by demands for increased fuel efficiency, safety and convenience, Otto said in an interview. "In addition, there's automated driving and electrification, and all of these trends touch on each other," he said. "We are trying to offer products in all five areas." 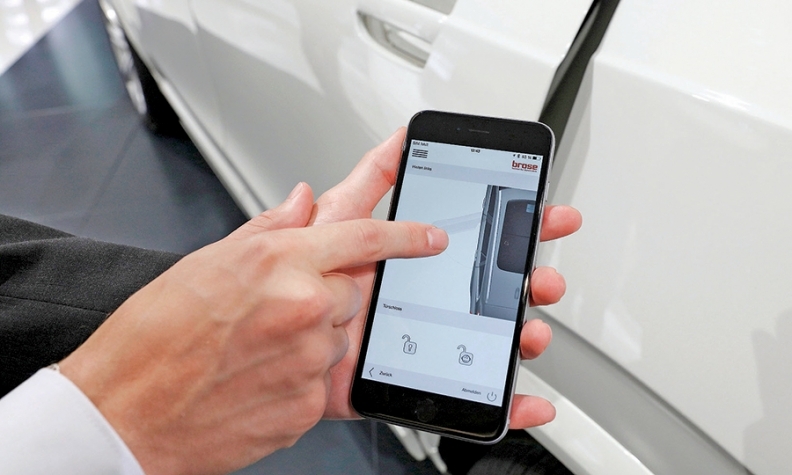 Brose has developed rear car doors that can open and close with the touch of a button. Another concept Brose is developing is three rows of motorized seats for SUVs or crossovers, with preset configurations that the driver could select via smartphone before entering the vehicle. Planning a trip to a home-improvement store? Tell the vehicle to fold the second- and third-row seats flat. The "golf clubs" setting might fold down only the seats on one side to leave a snug spot for the bag. For "family trip," the second-row seats are up, the third row flat. Plenty of vehicles have three rows of mechanical, folding seats, but figuring out the correct sequence of flipping levers and pulling straps to get them into the desired position "isn't always easy for people to understand," Otto said. Other possibilities Brose sees include a no-touch fuel tank door, activated by a wave of the hand, and a power seat belt that presents itself when an occupant settles into a seat and automatically raises the buckle, making it easier to secure the belt. Otto said the technology for such innovations is well understood. The challenge is to develop electric motors and other devices that are sufficiently quiet, light and inexpensive for automotive uses. "These features sometimes appear to be every simple," he said, "but in the details they take a lot of knowledge, a lot of experience."